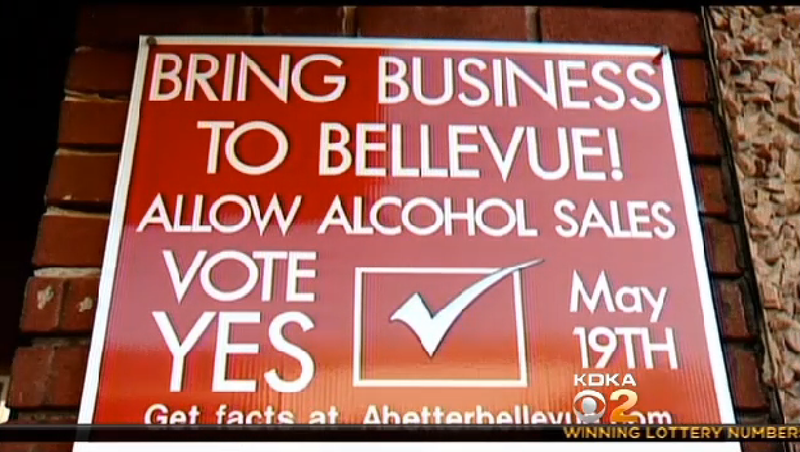 BELLEVUE, Pa. - The borough of Bellevue is one of a handful of "dry" communities in the Pittsburgh area that have recently approved referendums which overturn the ban on liquor licenses in their communities, reports CBS Pittsburgh. The restrictions had been in effect for decades. Aaron Stubna is a barber in Bellevue and an advocate of legal alcohol sales. Stubna told the station he believes social media played a key role in reminding people -- especially the younger ones -- about the importance of voting on the controversial sales ban. In 2011, a similar referendum to lift the Bellevue alcohol license ban lost by fewer than 90 votes, reports the station. Elizabeth Deye, a 100-year-old resident of the borough, voted against lifting the ban. "I'm not against alcohol. I'm against alcohol places where people can drink and drink and drink. That's what I don't like," Deye told the station. At age 100, she may not like it, but she lived to see it.